In the past, jewelry designers were not media stars. Far from it. There are no great interviews with Louis Cartier, one of the most creative minds of the art deco era. None. Harry Winston rarely talked to the press during the course of his illustrious career. One 1954 story published in The New Yorker just leaves you wanting more. The King of Diamonds was a quote machine. “It has everything! People! Drama! Romance! Precious stones! Speculation! Excitement! What more could you want?” was his colorful response to the journalist when she asked why he liked the diamond business. Today, of course, things are different. You can follow many jewelry designers every move through various social channels on a daily, if not hourly, basis. 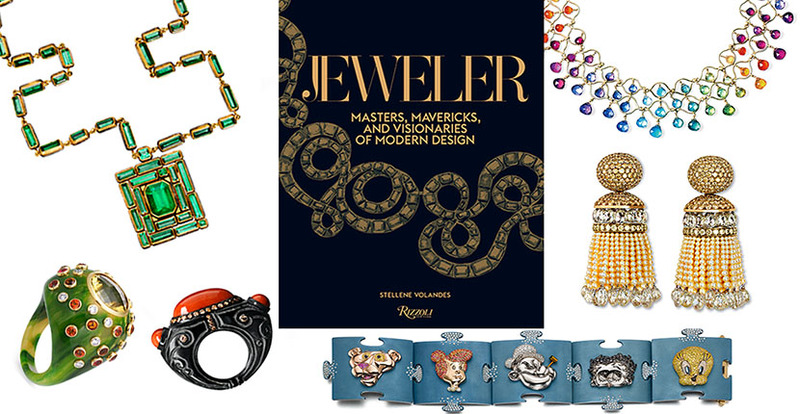 So why in this modern era do we need a book on contemporary designers like Jeweler: Masters, Mavericks, and Visionaries of Modern Design written by Town & Country’s editor-in-chief Stellene Volandes and published by Rizzoli? Here are 8 reasons it is a must have for any jewelry library. 1). The book presents a group of 17 of the most talented, distinctive and comparatively obscure talents working today. They are the names that carry on the creative legacy of legends from the past like Louis Cartier. 3). Stellene’s delightful prose is a personal journey of getting to know these talents. 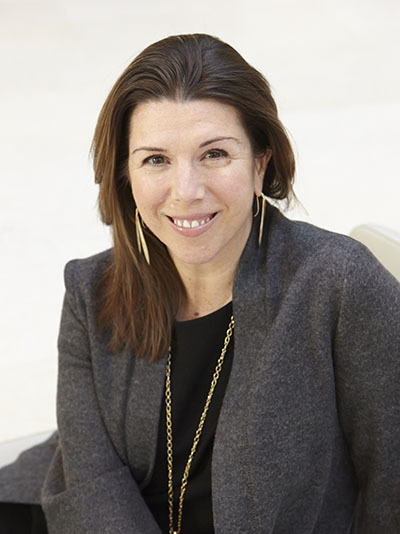 In the process, she treats the reader like a travel companion who she takes on her trips around the world to spend time with the best designers on the planet. Some of the excursions are gloriously luxurious destinations, like the Milan studio of Giampiero Bodino located across the street from the “Tilda Swinton house-envy-a-thon movie I Am Love.” There are walks along the rue de la Paix where Stellene inadvertently discovers Lydia Courteille. There are also shorter treks from Hearst Tower to the Upper East Side of Manhattan for the exclusive showings of the German jeweler Hemmerle at the Plaza Athénée. Other expeditions go deep into the artistic heart of Brooklyn for unforgettable visits with designers Mark Davis and Judy Geib. 4). In the course of reading the book, you will learn about modern craftsmanship almost without even realizing it. Stellene’s interviews with designers reveal a multitude of techniques and unorthodox materials—such as the titanium found in Suzanne Syz’s pop art pieces—in easy to understand language. The spirit is more like a fun DIY sesh than a dry academic treatise. 5). The book is such a good read there were moments when I wished it was the size of a novel, but then it would not have the glorious layout. The coffee table size publication features 300 color photos. Several of the imaginative creations fill an entire page or even two. Large serif text glorifying the designers’ words dramatically surrounds some of the jewels. 7). The group Stellene has gathered together reveals so much more about jewelry than a monograph on one designer. It shows how the early twenty-first century is an incredibly creative period for jewelry all over the world. 8). Fine jewelry, at the level of the work in Jeweler: Masters, Mavericks, and Visionaries of Modern Design, is not about seasons. It’s eternal and worthy of a book that will remain much longer than social media posts. Jeweler proves, in this digital age, there is still old-world craft. “Even though each jewel in the book has a singular style, there is a theme that runs throughout the book,” Stellene explains. “It is about the value and the luxury of time. These jewelers have it and value it to do their work.” Somehow, I feel that might be the same reason Louis Cartier and Harry Winston didn’t have much time for the press. They were focused on making treasure. We are all lucky Stellene used her precious time to track down this group of elusive talent and put together her glorious book.